Choreographer Kelly Devine dedicated the award in her category to the people of Gander, Newfoundland who in real life "effortlessly showed the world how easy it is to be kind." The award for best musical revival went to a production of Stephen Sondheim's "Company" that gender-swapped the lead role of a commitment-shy New York singleton and turned the usually male Bobby character into Bobbie. Director Marianne Elliott attributed the show's success partly to "a wind of change blowing in the industry, where celebrating female stories is not only possible, but absolutely vital." "Company" also delivered a supporting actress prize to Broadway diva Patti LuPone and a supporting actor trophy to Jonathan Bailey. It took another award for set-design. "The Inheritance," Matthew Lopez's drama about young gay men living in New York a generation after the AIDS crisis was declared best new play. "You could have blown me over with a feather," he said of the reaction his play got from theatergoers in Britain's capital. "Even some of the New York jokes, they got." 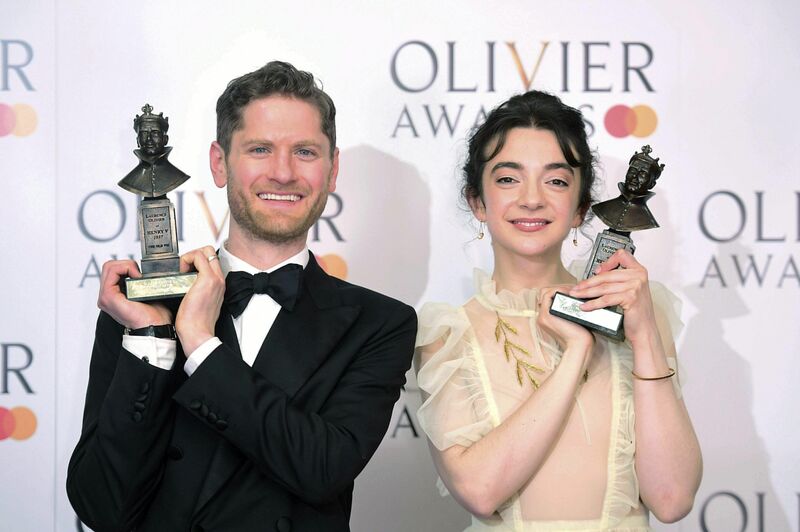 "The Inheritance" also took prizes for lighting and for Stephen Daldry's direction, while star Kyle Soller beat rivals who included Ian McKellen to be garlanded best actor in a play. Soller, an American based in London, dedicated his award to "those who continue to fight in a world where you can still be stoned to death for loving who you love." "Summer and Smoke" also took the prize for best revival. Sharon D. Clarke was named best actress in a musical for her powerful performance as the maid to a Southern U.S. family in the 1960s in Tony Kushner's "Caroline, or Change." Best actor in a musical went to Kobna Holdbrook-Smith for playing a charismatic, abusive Ike Turner in "Tina - The Tina Turner Musical." The show saluted long-running musicals "The Lion King" and "Mamma Mia," both celebrating 20 years of playing in London's West End.